Microsoft France has been upholding the cause of parity in the digital technology industry for many years by taking actions to achieve this ambition, both inside and outside the company. Supporting the #JamaisSansElles initiative is perfectly in line with this policy. By signing an ambitious voluntary corporate charter, Microsoft France is confirming its commitment to a more inclusive and diverse digital technology industry, in a move that will inspire other companies to follow suit. Every member of Microsoft France’s Executive Committee has agreed to sign the appeal made by #JamaisSansElles on January 20, 2016. This appeal calls for an individual commitment to refrain from taking part in any public demonstrations or media events where subjects of common, societal, political, economic, scientific or strategic interest are debated, discussed or judged, if not one woman has been invited to participate. This promise covers events inside and outside the company. Internally, Microsoft France agrees that women speakers will take part in all the events attended by the signatories. Externally, during conventions, round tables, expert panels or juries with at least three participants, the signatories of the charter will only make public statements if one or more of the participants is female. In meetings between the signatories of the charter and Microsoft France’s customers that are attended by at least three Microsoft France employees, at least one female Microsoft France employee must be present. In areas where women represent less than 15% of the personnel, the choice of speakers at corresponding events must always heighten the visibility of women, and their participation must never be below the proportion of women working in the sector in question. Consequently, in sectors such as cybersecurity, cyberdefense, artificial intelligence or quantum computing, where the proportion of women is below 15% of headcount, the charter takes effect from five participants upwards. Likewise, Microsoft France agrees to undertake long-term awareness-raising actions for female audiences in an effort to reverse the trend in these sectors. i. Microsoft will inform the organizers of its commitment to #JamaisSansElles. ii. Where appropriate, Microsoft France will propose an intervention by a female employee instead of the selected employee. iii. 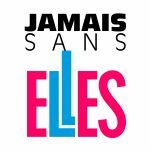 Microsoft France will inform #JamaisSansElles, which will call on its network in order to propose one or more potential women candidates who are competent in the field in question and could take part in the event, conference or round table. iv. Where appropriate, Microsoft France will decline the invitation (note that news of this refusal could be widely distributed and amplified by the #JamaisSansElles networks). i. The participants will express their surprise to the organizers and explain that the absence of women at the event runs contrary to their commitments as a signatory of the #JamaisSansElles charter. ii. If the event must take place, an explicit reference to the charter will be made at the start of the presentation to the organizers, the audience and the other speakers. iii. With the agreement of Microsoft France, the speakers remain the sole judge of the attitude to be adopted as a last resort regarding their participation. It is up to them to take any measures they feel to be appropriate to prevent themselves and Microsoft France from being exposed to criticism on the networks, for example by posting a message in advance on Twitter mentioning their commitment to #JamaisSansElles and giving notice of the conflict or any special circumstances leading to this conflict. Microsoft France agrees to convey an image of diversity and inclusion in its communications actions. In particular, mixed interventions will systematically be preferred in meetings with the media or influencers, or in presentations of strategic and/or economic prospects.